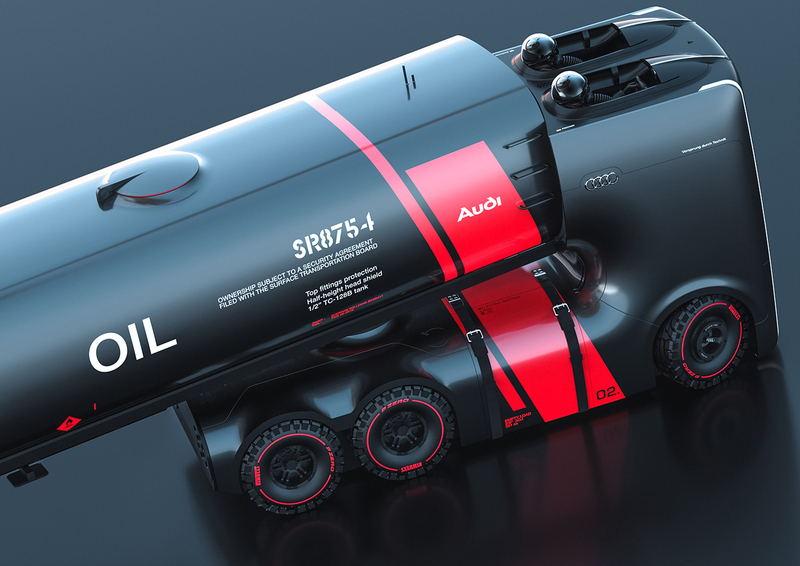 Two designers created a project of truck concept for Audi. 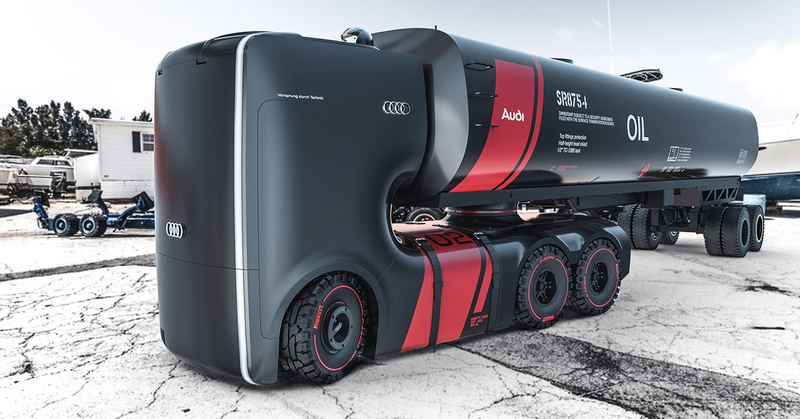 The goal of the project, called Truck For Audi, was to create a concept for a self-driving electric truck for the German automobile manufacturer. 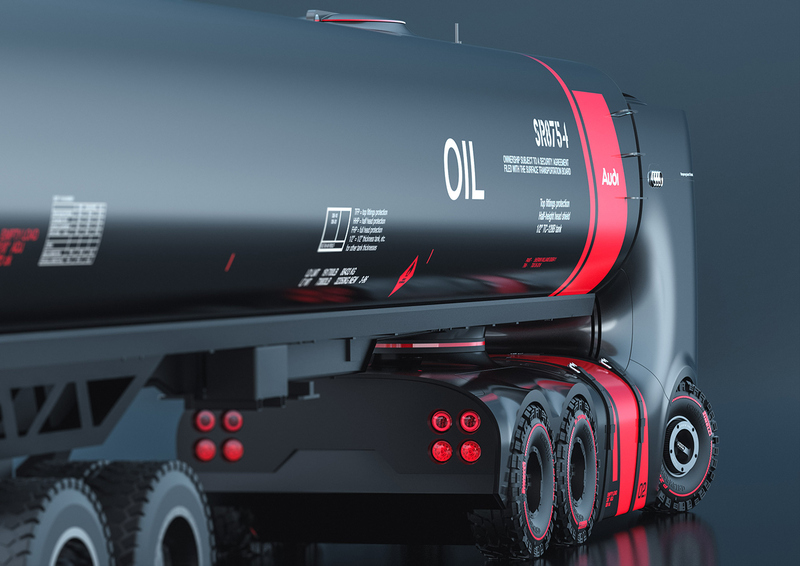 In this case, since the idea itself breaks new ground in the transportation world, it only made sense that designers Artem Smirnov and Vladimir Panchenko would practically reinvent the way we view these trucks. What’s left for us is quite the imaginative piece of vehicle conceptualization, featuring elongated headlights and tail lights along with design lines smoother than Miles Davis. And let’s not forget that cockpit inspired cabin. Whatever the case, if these do make it on the road eventually, they’re sure to draw significant attention from surrounding drivers. And also we would recommend you to check other coolest concept cars: 15 Best Concept Cars of Largest Automakers. Listen here. Line the top and sides of trailer with solar panels. Also, the configuration is OK for a day at driver, but the idea of a full sleeper cab for the human is necessary for OTR drivers, so they can stay active in the cab and and pump iron while during long highway stretches.